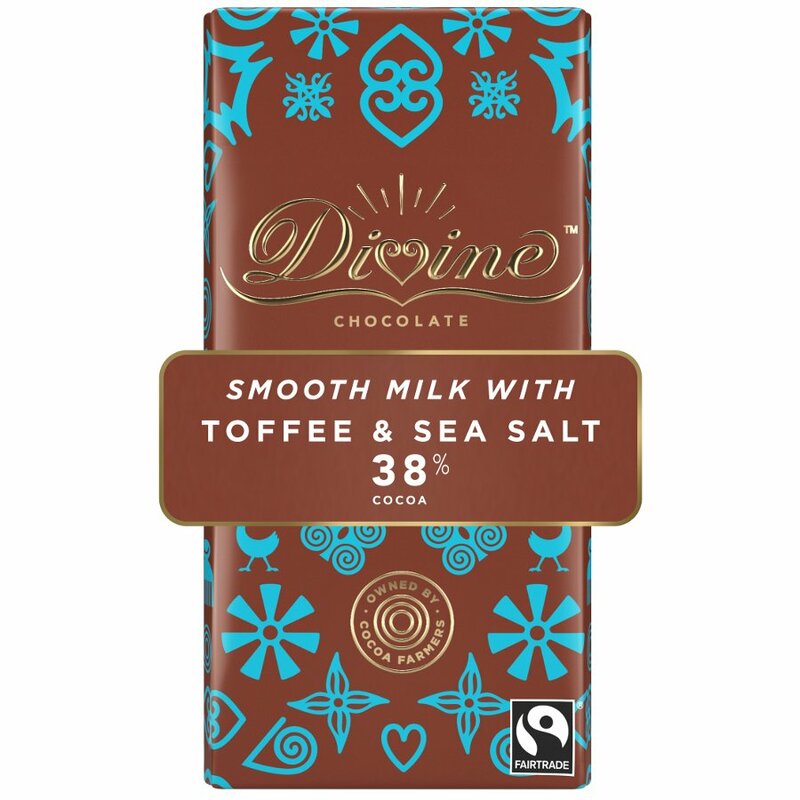 Smooth milk chocolate with a dash of sea salt which perfectly counterpoints the sweet crunch of the added butterscotch toffee. 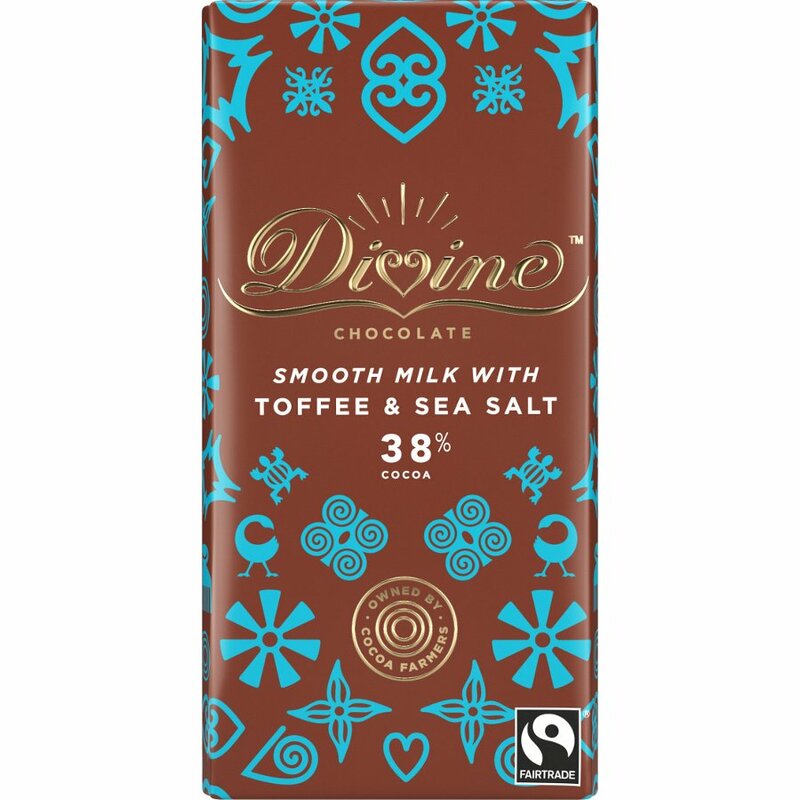 Fairtrade sugar, Fairtrade cocoa butter, skimmed milk powder, Fairtrade cocoa mass, butterscotch 10% (sugar, glucose syrup, butterfat, salt), butterfat, sea salt Emulsifier: sunflower lecitchin, vanilla. Cocoa solids: 38% minimum in chocolate, Milk solids 16% minimum. Cocoa, sugar and vanilla: traded in compliance with Fairtrade standards, total 79%. may contain milk, gluten and nuts. Free from artificial flavourings, colourings and preservatives. 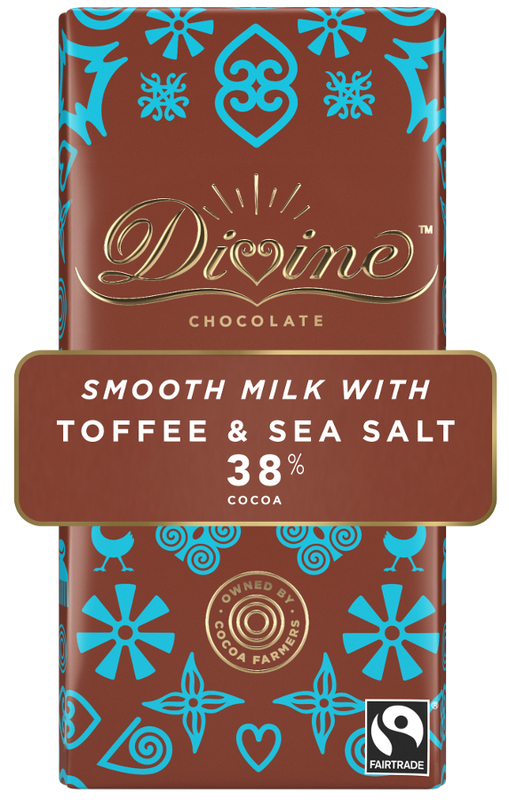 There are currently no questions to display about Divine 38% Milk Chocolate with Toffee & Sea Salt.